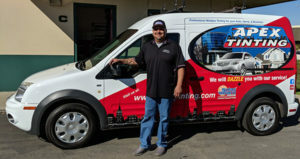 We take a lot of pride in being the best auto glass chip repair people in Lompoc. Why we are the best is because we are so dedicated to our customers! We expect complete customer satisfaction, or we are not satisfied! Apex has low rates, friendly service, and professional technicians who get to you on time and do the job right! We will also come to you in Lompoc! 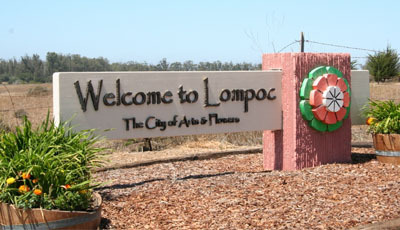 Yes, Lompoc, we will go onsite to your home or office! Almost all glass chips and cracks can be taken care of right away without the need to miss any work or be inconvenienced. Don’t let a small auto glass chip become larger, more costly, and possibly dangerous – give us a call now to take care of it right away! Can I tell if my car glass chip is repairable? Fortunately, Apex can repair most car glass chips very easily! Here are some ways to know if it can be fixed; If the chip isn’t any bigger than the size of quarter and if it isn’t blocking the driver’s vision, it is probably a repairable chip. If the auto glass crack is larger, or is in the way of the driver’s visibility then it may need to be replaced. But don’t worry Apex will come out to assess the situation and give you your options! Just 15 minutes to repair car glass chips in Lompoc! Time is of the essence! These days no one has ‘spare time’ to wait around for service. We will get most chips repaired in under 15 minutes! So don’t let time be the factor that prevents you from being responsible and getting that chip fixed! Even if you have a few chips it will not take much time, we are the professionals and we will do the job efficiently! Maybe you need a windshield replacement? Call our office and a technician will be happy to come out and give you a free windshield assessment!